Happy 2019! We have revamped our entire lash training program to provide you with the most updated knowledge possible! 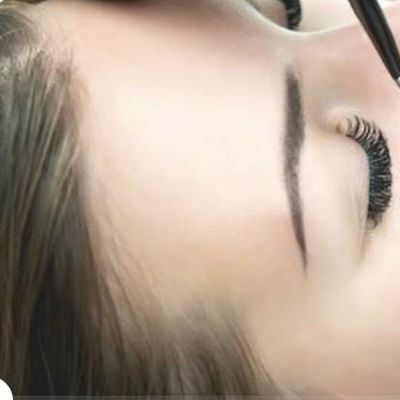 Achieve your goals in 2019 with professional training with one of Charlotte NC’s #1 Lash Artistry! We have a high success rate in professional training and only want to continue training those that are serious about our industry and will uphold its standards. *** If your goal is to become a successful Lash Artist then our program is designed for you! Eyelash Extensions are semi permanent eyelash extensions meticously attached to each natural lash! This class is a 6.5 hour intense class. It will include your kit (enough to accommodate 20+ clients), a mannequin practice head, theory, sanitation,application, lash removal, after care, consultation forms, marketing tips, and ongoing support. Certification is provided after you complete 2 successful case studies (before and after pictures) unless you already have experience lashing and in that case send us pictures of your previous work before class starts. Why train with us? Our Master Lash Artists have coached and developed many artist that are doing exceptionally well including starting their own Lash Business after just a year! We have received multiple trainings so we have your back and are equipped with up to date knowledge to help build your success! Our classes are not overcrowded, you will receive very personal experience with your Educator. We will ensure that you are confident in the application process before you leave class. Don't take our word for it, check our reviews and testimonials. WE TAKE TRAINING VERY SERIOUSLY AND SO SHOULD YOU. PLEASE BE SURE THIS IS RIGHT FOR YOU BEFORE REGISTERING BECAUSE WE WILL WORK REALLY HARD! $200 gets you started and the remaining balance of $475 is due on the date of class! Quality Training. Professional Training. Get the professional training that is required to grow your business. Are you already certified by another company and feel as though you need addtional training or not confident in your current work? We can help you, see below. YOU MAY ATTEND THIS CLASS AS A REFRESHER COURSE or MENTORSHIP (COURSE REFRESHER $400 and $150/hr for MENTORSHIP) must provide proof of lash certification and 2 before/after pictures of your work.Contact us for more info if you believe you are eligible and are interested. What do I need to bring to the event? You will need to bring a model.You can bring more than one also! If you require a model, let us know ahead of time and we can recruit one for you! What makes your training different from others? Glad you asked! Our master artists have received multiple trainings, and have trained many students that are successful, and we are operate a 5 star salon! You will get more than enough time to work on a live model to ensure you have the essentials before leaving class and we are always available for continued support.We will support you until youre comfortable! What's the refund policy? There are no refunds, however you may reschedule your class date for any unforseen issues..
Is my registration fee or ticket transferrable? Yes, if you miss class for any unforseen reason,but there are no refunds.